For six months there was the happy hangover, the gratification of getting to where no Gonzaga team had been before. Then came the reset, the having to put it away and on to the mission of turning id into I.D. That done, now the Bulldogs can reach back for the lessons. 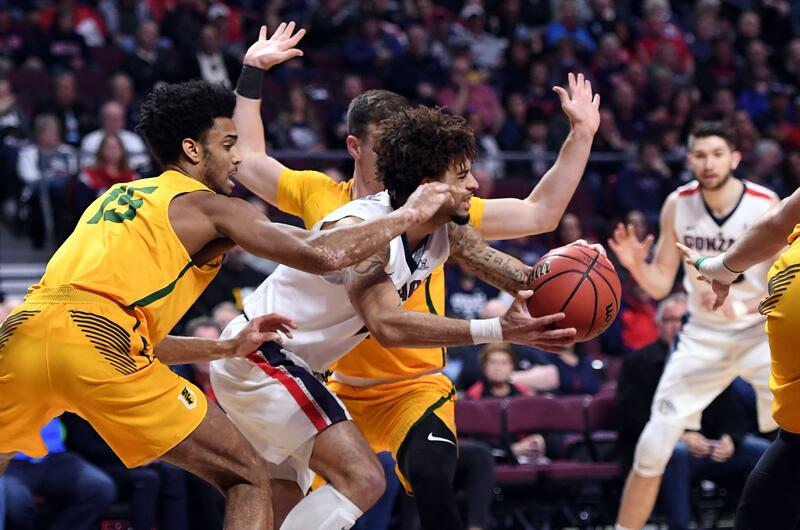 Twelve months ago, the Zags had staggered through a gruesome first half in the NCAA Basketball Tournament opener against South Dakota State, a game No. 16 seed determined to do the unthinkable. And after the Bulldogs had restored some normalcy and avoided the ignominy of being the first No. 1 to go down in the first round, senior guard Jordan Mathews weighed in. “We were playing like, ‘Let’s feel them out first,’ ” he said. “You don’t have the luxury in this tournament of playing around and hoping things go your way. You’ve got to make them go your way. This was presumably the first of many cautions filed away by the Zags for the Next Time Around. Which happens to begin now. On Thursday, the Bulldogs take up the NCAA torch once again, this time in Boise as a No. 4 seed against the No. 13 UNC Greensboro Spartans. If the 1-vs.-16 angst is gone, it’s been replaced by a better opponent and the baggage of achievement. And so much the better, apparently. “If the target got bigger, that’s what we want,” said junior guard Josh Perkins. “We know who we are. That’s why we came to this program. That’s why people transfer, why guys sit out to play. Sounds like a company line, but the Zags certainly lived it during the 2018 season. When half of the 2017 Final Four rotation departed – for Serbia and Spain and the NBA and elsewhere – the Bulldogs still mustered enough firepower to win two games in the fabulous PK80 tournament in Portland at Thanksgiving – and stage college basketball’s best November game in narrowly losing a third. They spotted Saint Mary’s a win in West Coast Conference play and still won the league again, and blitzed through the conference tournament. They won 30 games, the fourth such Gonzaga team to do so in the past six seasons – another staggering number. And now they have their own identity – a new one – plus the advantage of their Final Four memories, and experience. What is that worth, exactly? For beginners, they played their way through any number of challenges this season – the games in January and February that they had to dig in and put away in the last six or seven minutes, often as not piling defensive stop upon defensive stop. But enough of them were witness last year to how hard the wins come in March – or as in the blowout of Xavier to reach the Final Four, how easy it came when every “i” was dotted and “t” crossed. But circumstances change. Even the holdover regulars from last March find themselves in different circumstances. Leaders. Thirty-minute mainstays. And the sophomores and freshmen who hardly had a part, if any, in the proceedings have assumed major roles. “What’s been unique about this group is that they’ve found that fine line,” said assistant coach Brian Michaelson. “They still talk about the Final Four and those memories, but they’re also still hungry to get back to the Final Four and win a national championship, and they’re also hungry to have it be their own. And that it’s more urgent than solving a jigsaw puzzle. Published: March 12, 2018, 10:09 p.m. Updated: March 12, 2018, 10:38 p.m.